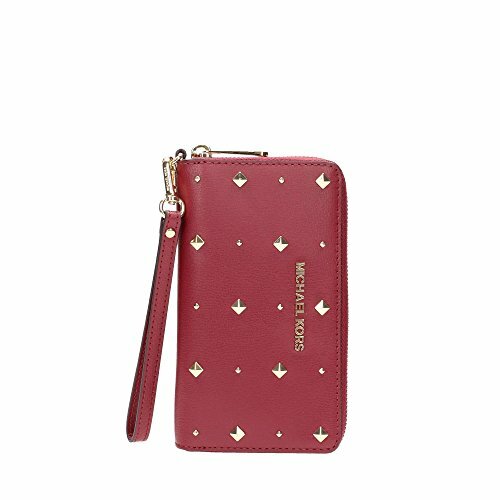 Travel wallet .STUDDED. Wrist strap. Zip around style with logo gold tone plate on the front 2017/2018 STYLE Leather and logo print fabric interior features multiply card slots and a clear ID slot Interior features a zippered coin pocket and multiple full length bill compartments Measures approximately 6.5"X3.5"X1"